In my recent youtube haul I showed some new products I picked up from Rimmel & as promised here are the swatches. When I saw Lily Collins on the cover of Glamour I was desperate to find a similar red and I think "Big Bang" is the perfect colour, With a subtle hint of pink this red is exactly what I was looking for. And as I am not one to pass on a bargain, I picked this second colour up as it was "buy one get one half price" This rose pink is the perfect summer colour! If you saw my nail tutorial you would have seen me apply these mint coloured fake nails and I love this colour, so when I was in boots I check out every brand to find this shade, Barry M and Max Factor have a pretty close dupe but I had to go with Rimmel and I think it worked out really well. I painted my middle finger with this Peppermint shade and though it is a little darker its a pretty good match, little tip use a lighter top coat if you want it to be a perfect match. and once again it was "buy one get one half price" so I picked up the new Flex mascara, both Rimmel and Maybelline have create this coat by coat smooth finish mascara. Apparently you can keep applying this mascara without drying out your lashes I have yet to try it out. ....anyone else think this looks like the rather famous Benefit mascara wand??? I want to try out those lipcolors. They look really pretty! Especially the red! 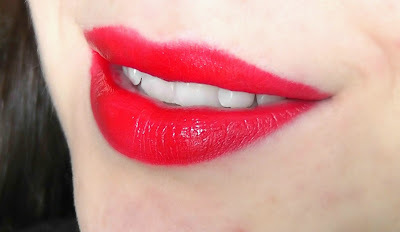 Could you do a Rimmel Favorites Video like FleurDeForce did? Ive been loving rimmel lately! Great haul, I need the apocalips!